Looks sleek, works well and cooks beautifully. May not suit traditional or older looking kitchens. The Whirlpool Jet Saveur VT266 is more than just a microwave - it also includes an incredibly handy jet defrost function, a crisp facility when grilling food, and a healthy steaming mode for vegetables and the like. The actual microwave mode features 5 different power settings, and 800w of power. The exterior is in a glossy and slightly futuristic black finish, with well labelled controls marked in white and silver. It looks sleek, and will appeal to those with modern kitchens. Overall capacity is 24 litres, and the turntable size is 28cm - and so it will accommodate the majority of plates and dishes. The auto steam facility makes water boil, and then maintains that temperature to ensure your food is steamed beautifully. Similarly the grill function works very well, and finished off food nicely. The interior was very easy to clean, and our testers found the controls, situated on the right hand side of the appliance, to be easy to operate. Overall a very well built and functional microwave. 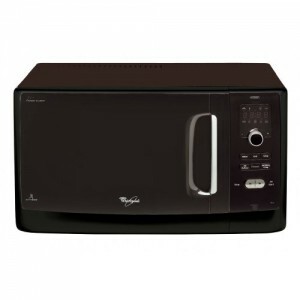 A very handy Whirlpool microwave with three main functions - steam, grill and microwave. 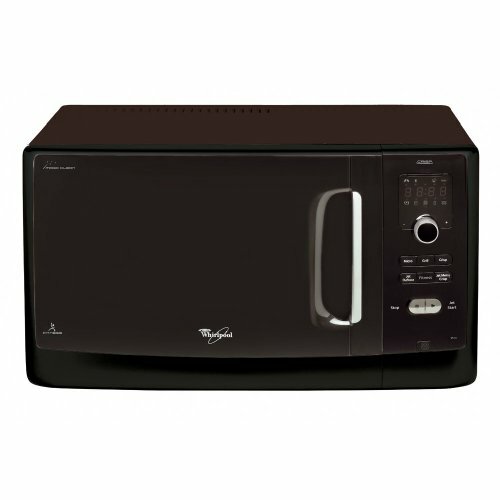 In terms of performance, we couldn't fault it - if you're looking for a do it all microwave, then the Jet Saveur VT266 is well worth looking at. included is the microwave oven, a cookbook, instructions, warranty card, crisp plate, crisp plate handle, and the grill grid.